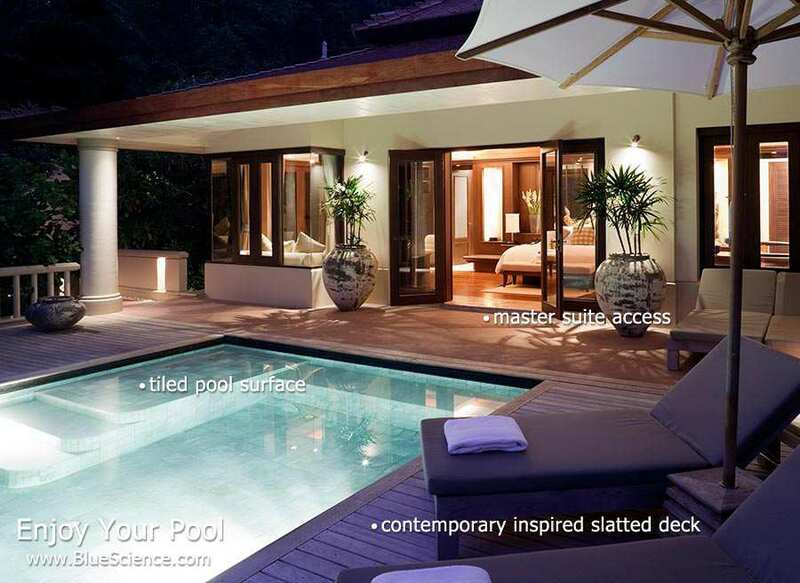 There is certainly no "one size fits all" attitude towards swimming pools. 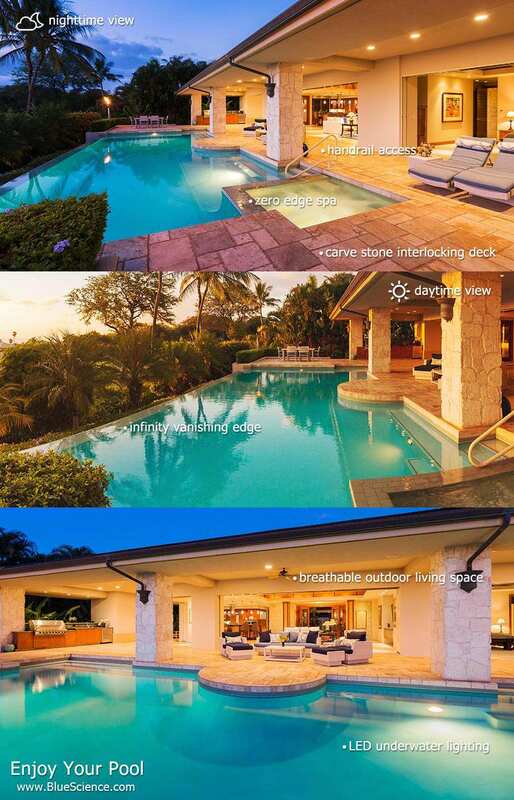 Rightly so. 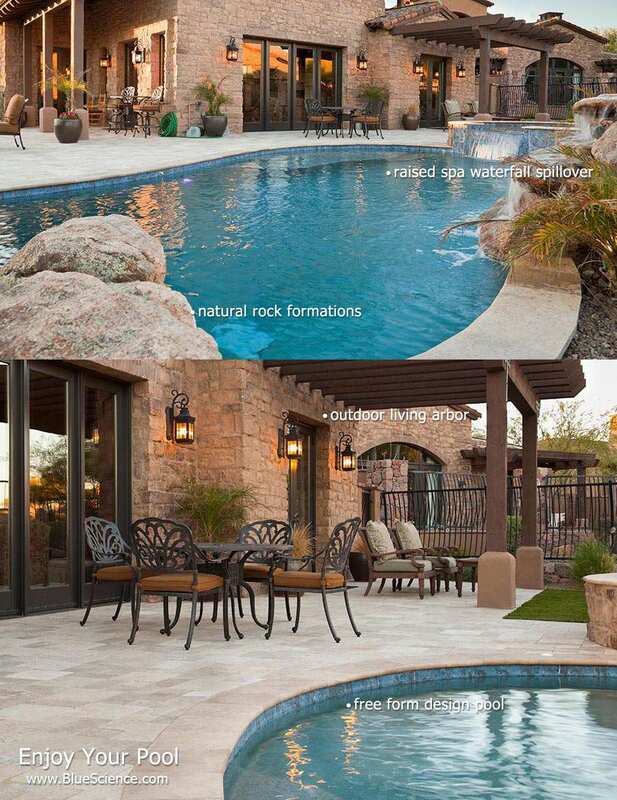 The best pool for your backyard will be a custom blend of both practicality and style. 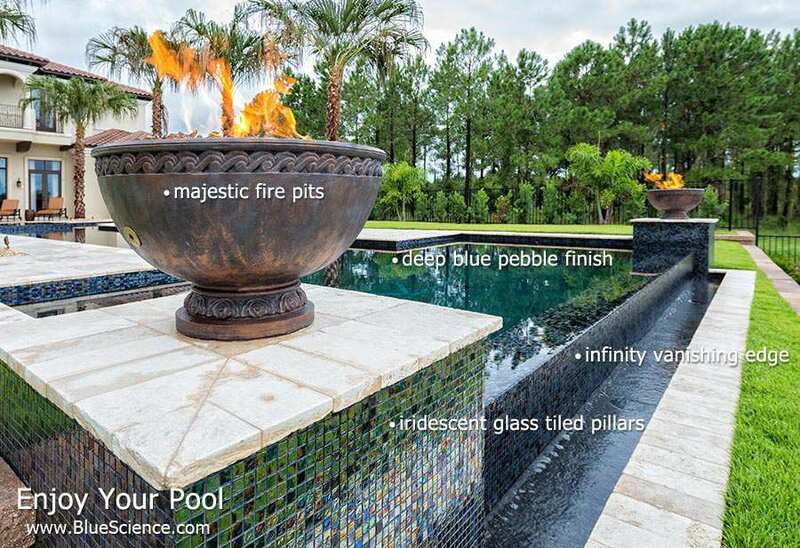 Browsing themed pool designs helps you establish a baseline for your tastes. 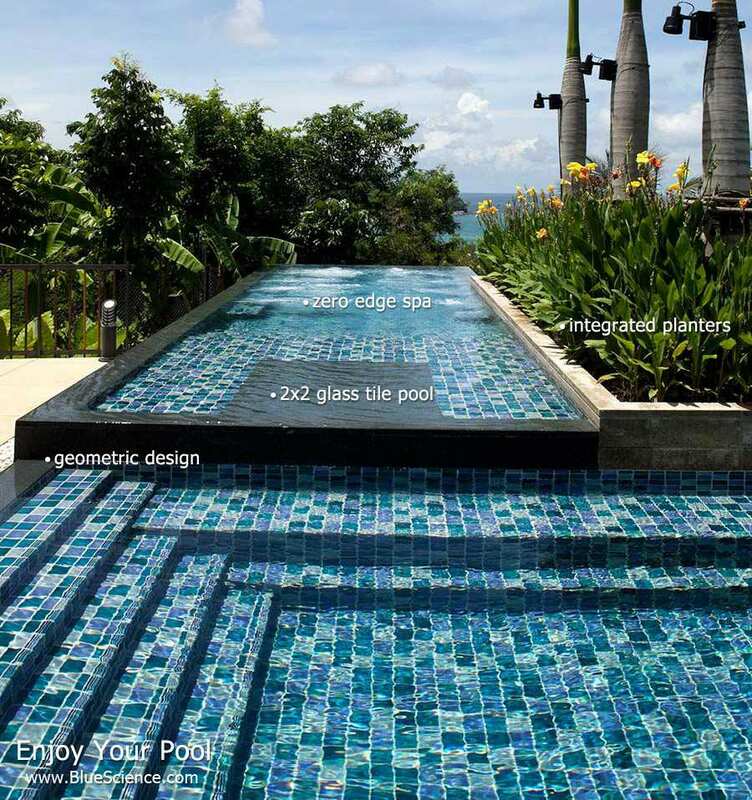 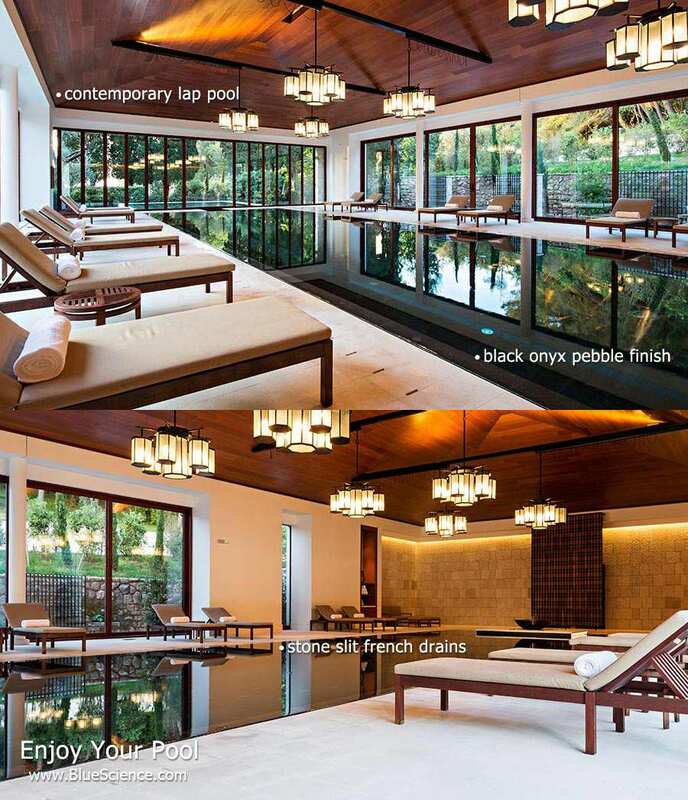 Every backspace space is a unique landscape that should bring life to a complementary pool design and layout. 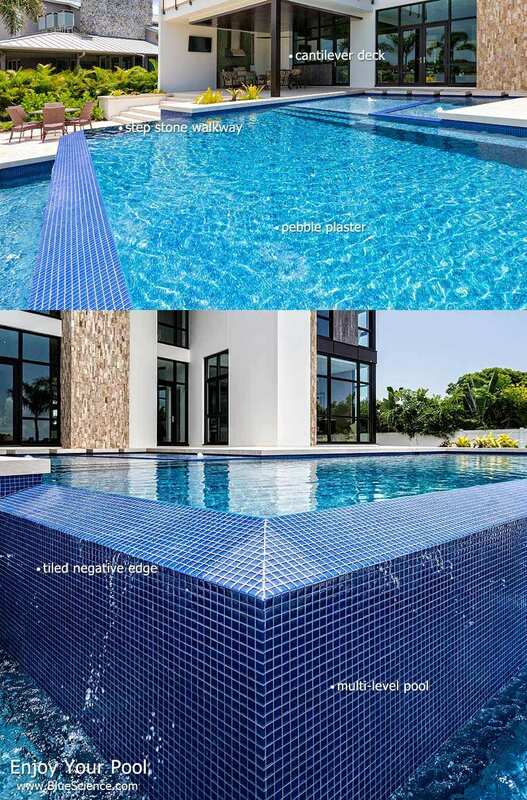 Having, for example, a modern interior design for your home doesn't necessitate a similar design for your backyard pool. 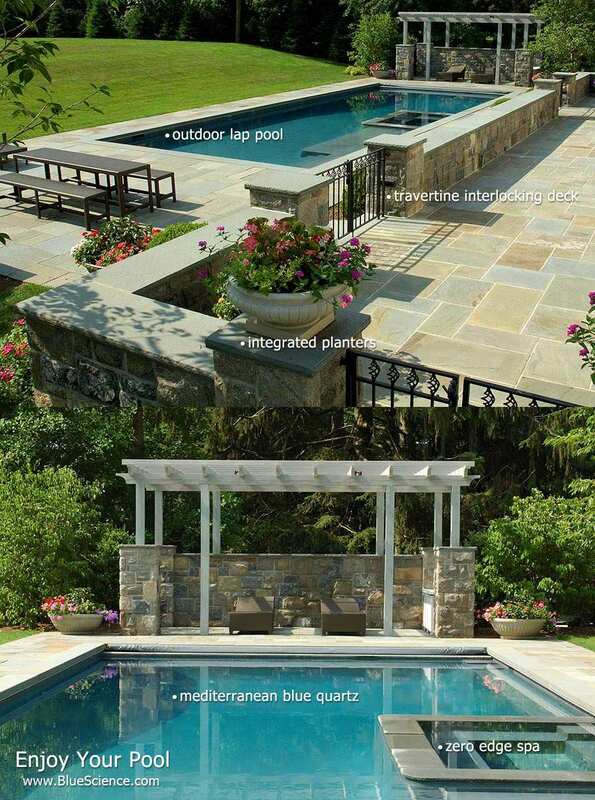 Design your backyard to be in harmony with its surroundings. 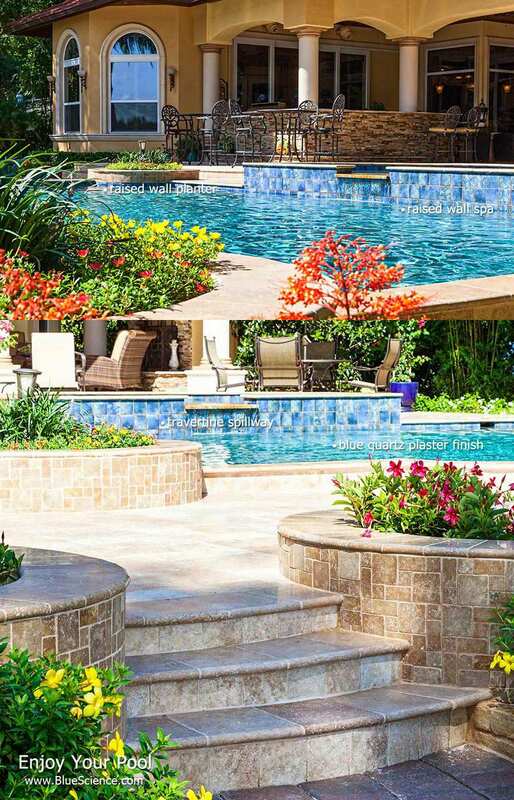 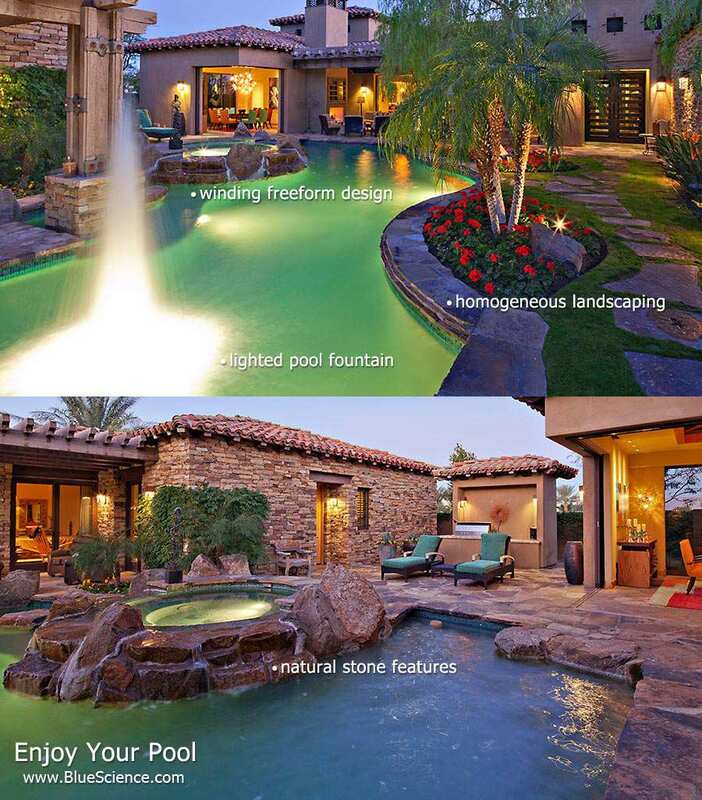 The themes below are from Dallas Pool Service & Repair's popular pool design catalog. 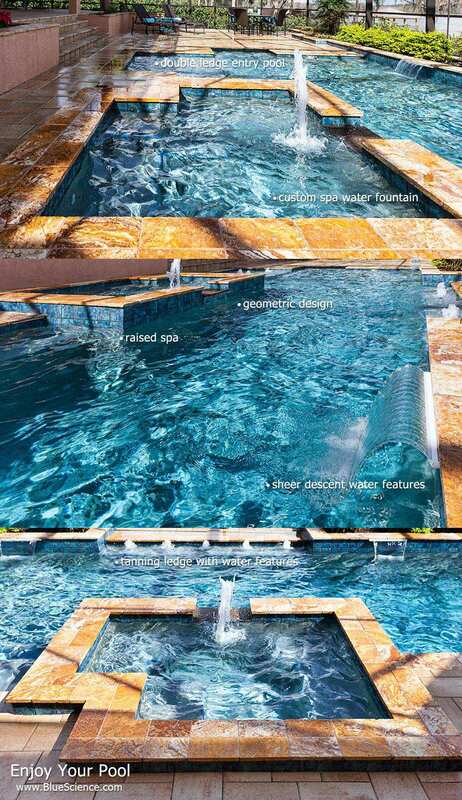 Dallas Pool Service & Repair is a pool construction company for Dallas, Houston, Austin & San Antonio Texas. 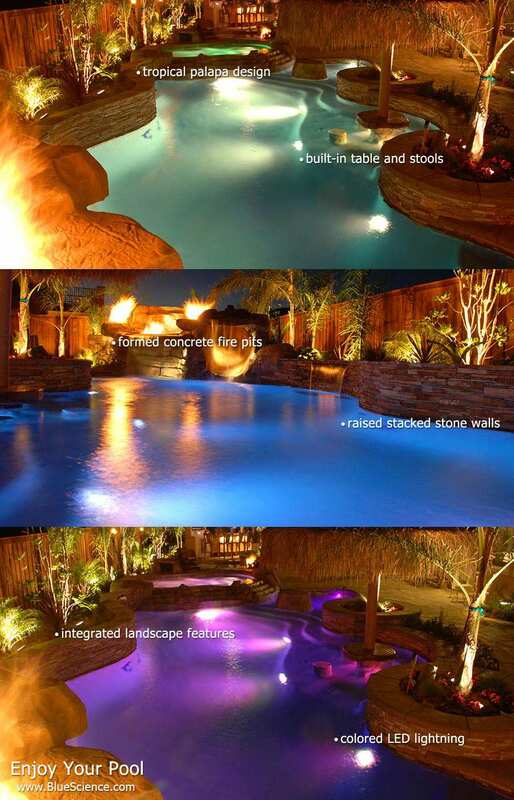 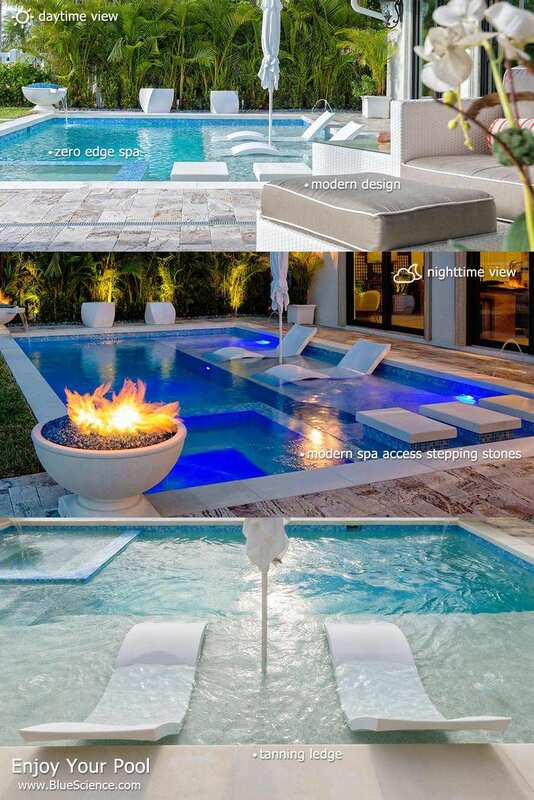 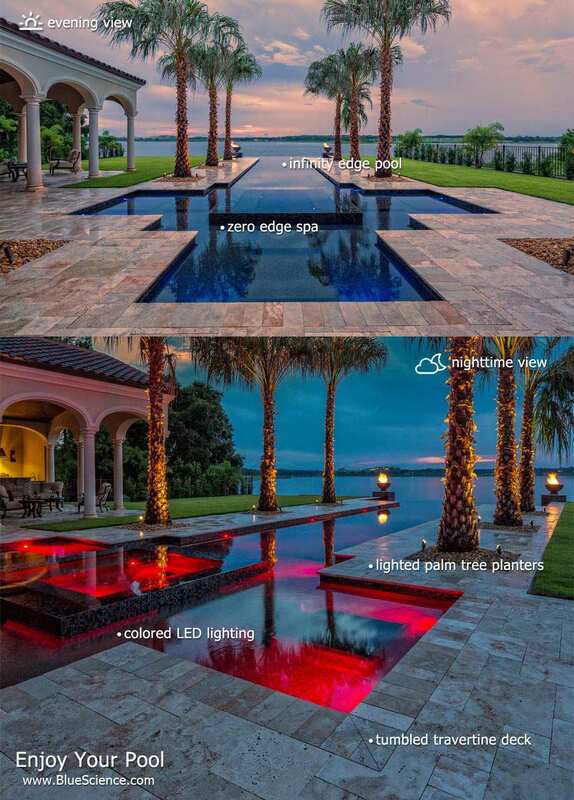 Stunning infinity edge pool with colored led lighting and tumbled travertine deck & coping. 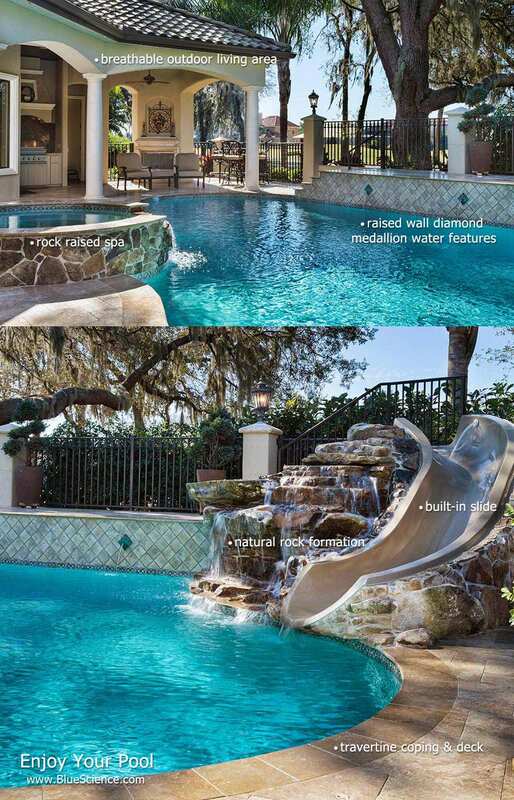 So what does it cost to build one of these pools? 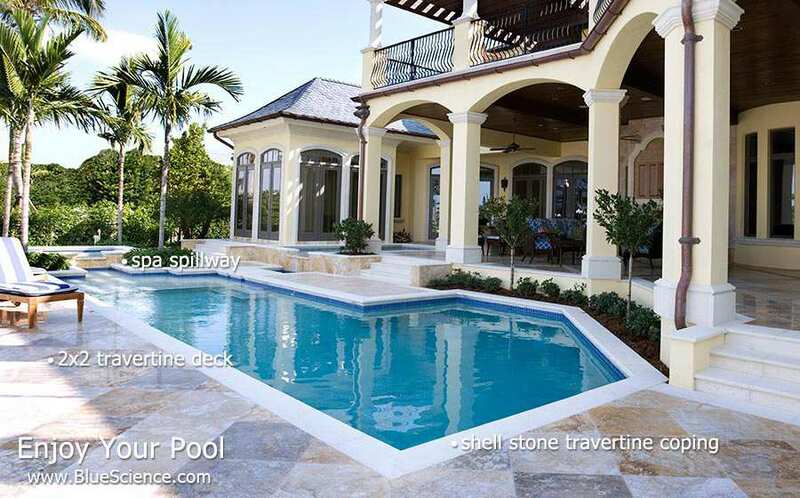 A no-strings-attached quote is just a phone call away.